Find out why True Clean is the most trusted company in the area. 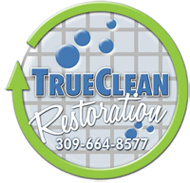 True Clean was founded on the belief that no one should have to suffer through water, mold, or fire damage to their homes. That is why True Clean Restoration only provides professional, experienced individuals. Our staff knows how to respond to emergencies quickly and effectively. They will do their utmost to make sure that you are as comfortable as you can be throughout the process. Call us today at 309.664.8577 to schedule an appointment or to learn more. Experience the True Clean difference today! This is a blurb about Cody Otto.